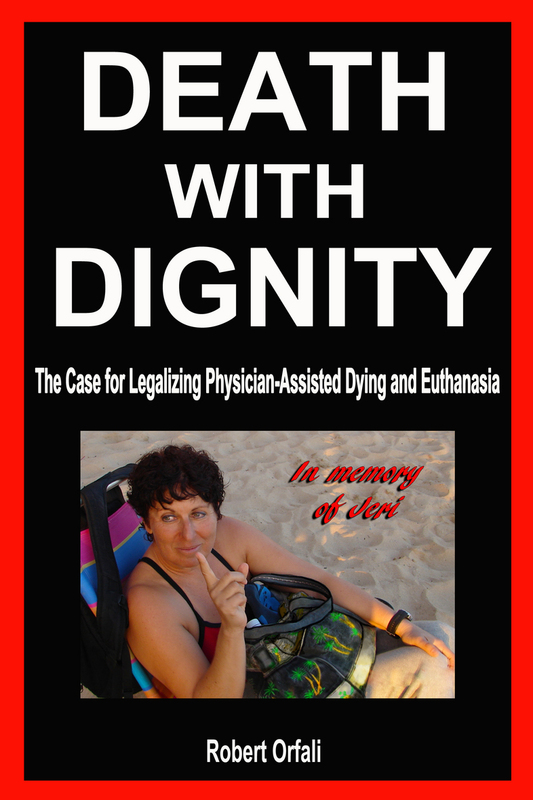 Death with Dignity provides an in-depth look at how we die in America today. You'll learn about the shortcomings of our end-of-life system. You’ll learn about terminal torture in hospitals and ICUs and about the alternatives: hospice and palliative care. With laser-sharp focus, Orfali scrutinizes the good, the bad, and the ugly. He makes a strong case that assisted dying complements hospice. By providing both, Oregon now has the best palliative-care system in America. Reading this book may help you or someone you care about navigate this strange landscape we call “end of life.” It can be your gentle and informed guide to “a good death” in the age of hospice and high-tech medical intervention. The book is available in paperback and in multiple e-book formats. If you need more information click on the button below to read a PDF of the first few chapters. Set the PDF to 100% to get a feel for the book's layout.